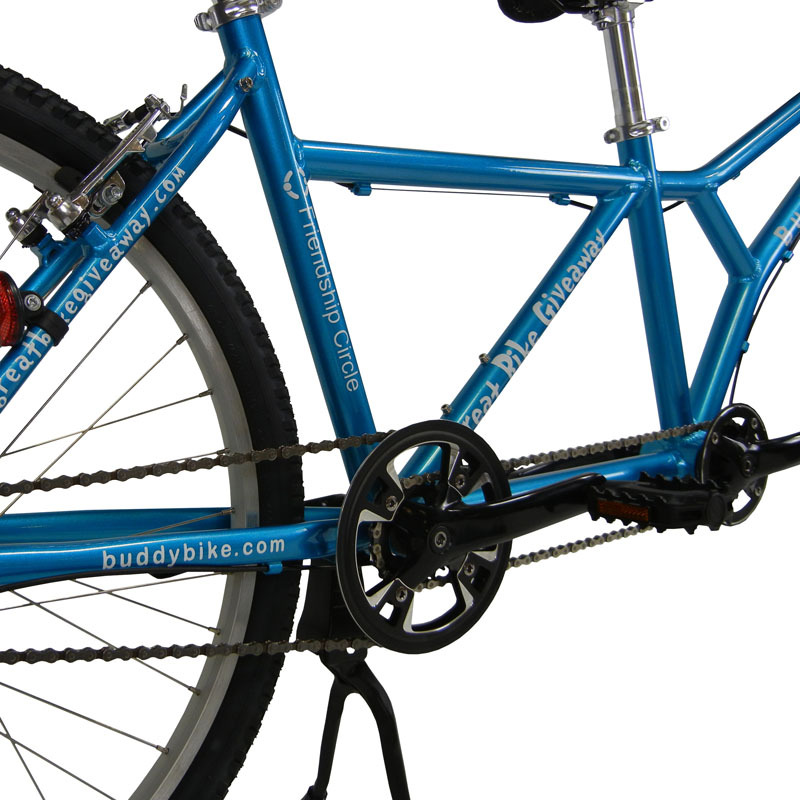 Buddy Bike Family Economy is custom built for The Great Bike Giveaway and designed to encourage novices and non-riders to cycle. 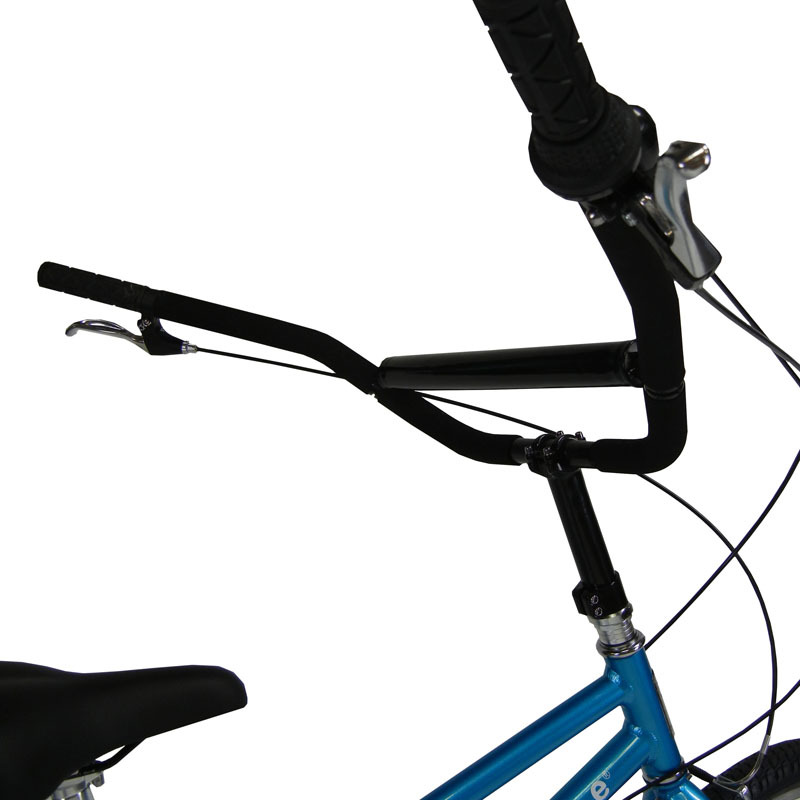 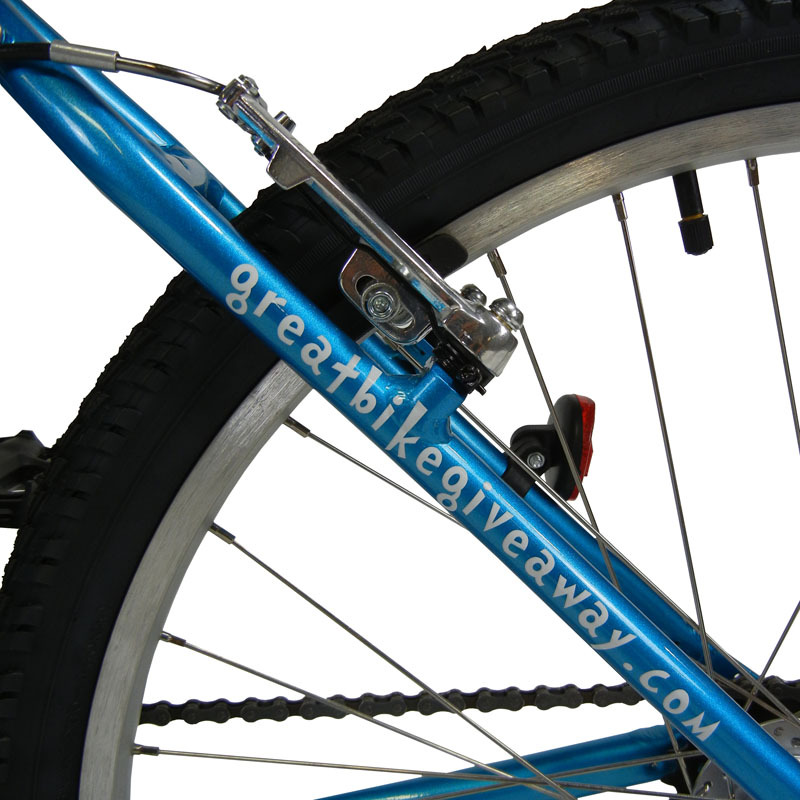 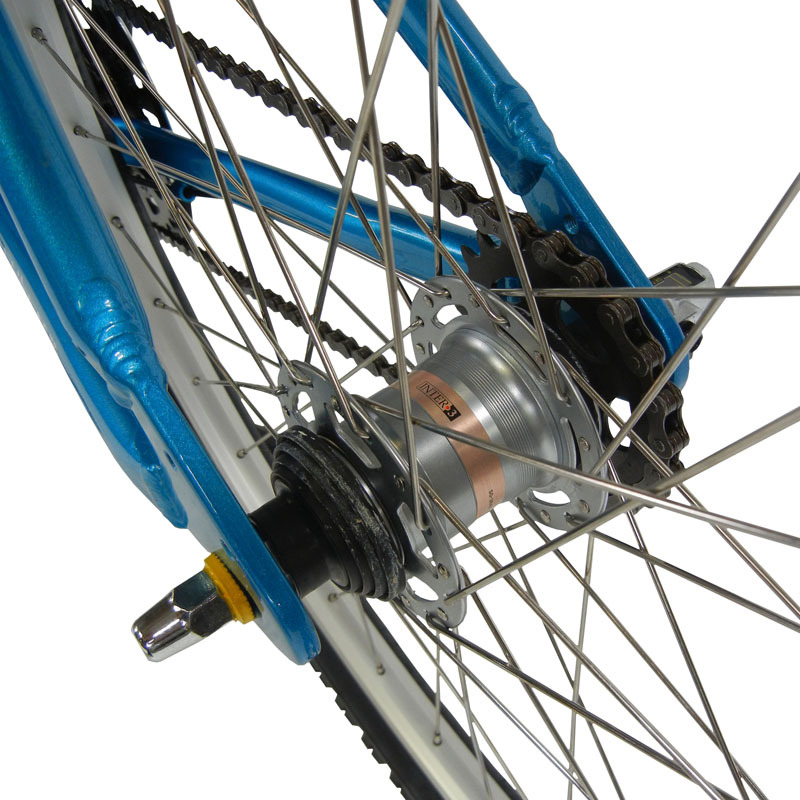 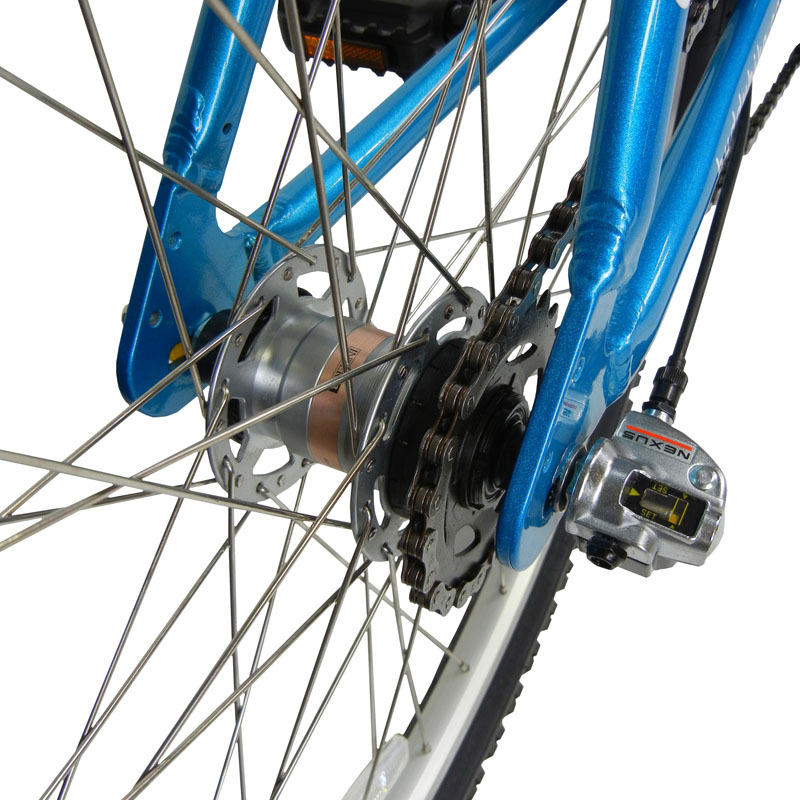 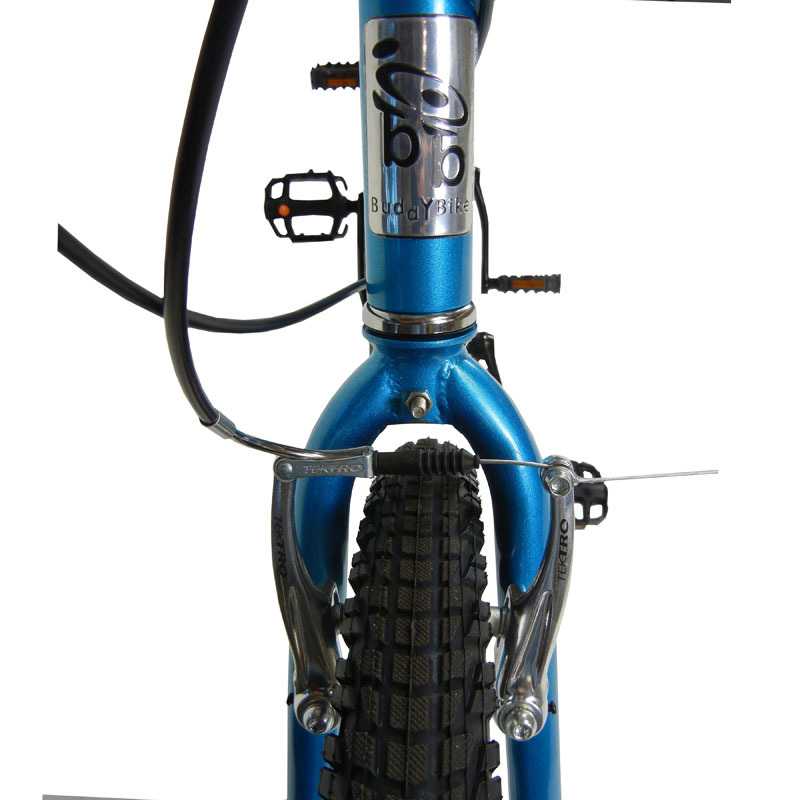 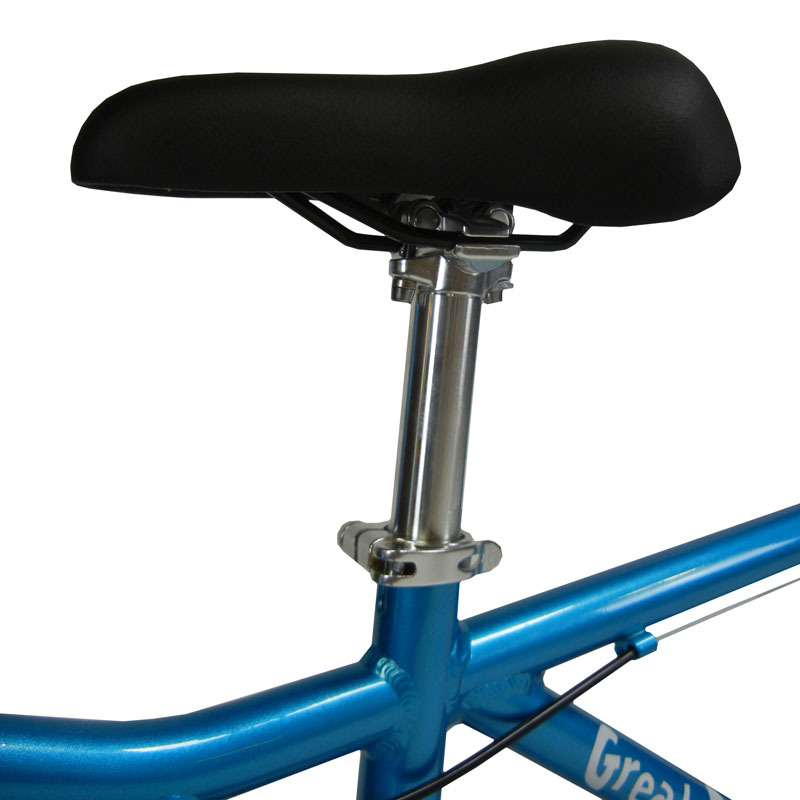 This model includes an aluminum frame in Great Bike Giveaway Blue, an internal 3-speed hub for easy maintenance and pedal-free shifting, Tektro V brakes for the rear rider (Captain) and a padded crossbar for the front rider (Stoker). 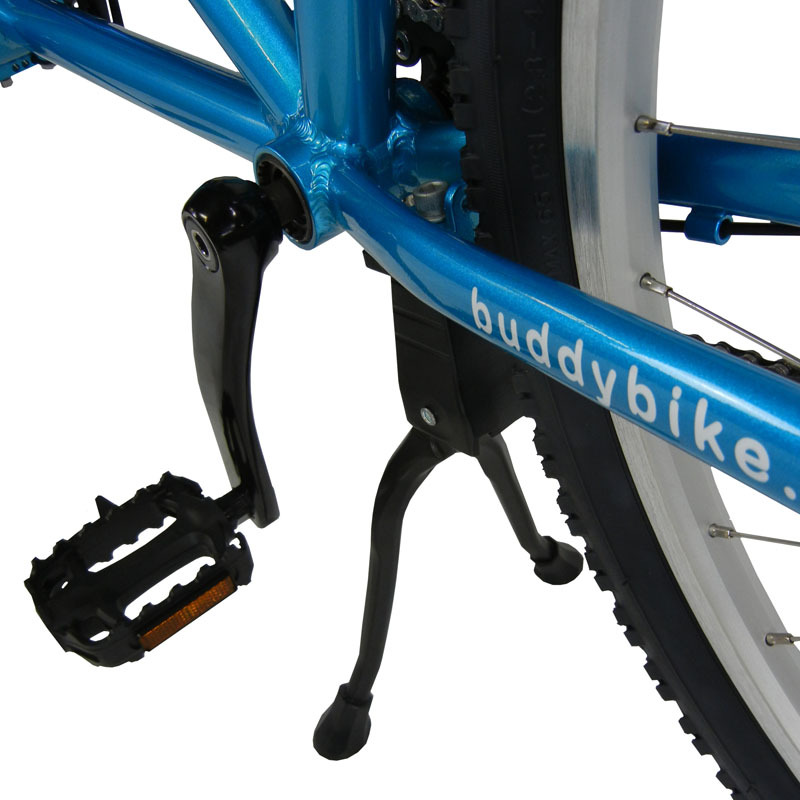 This Buddy Bike model is most comfortable for adult riders under 5’7". 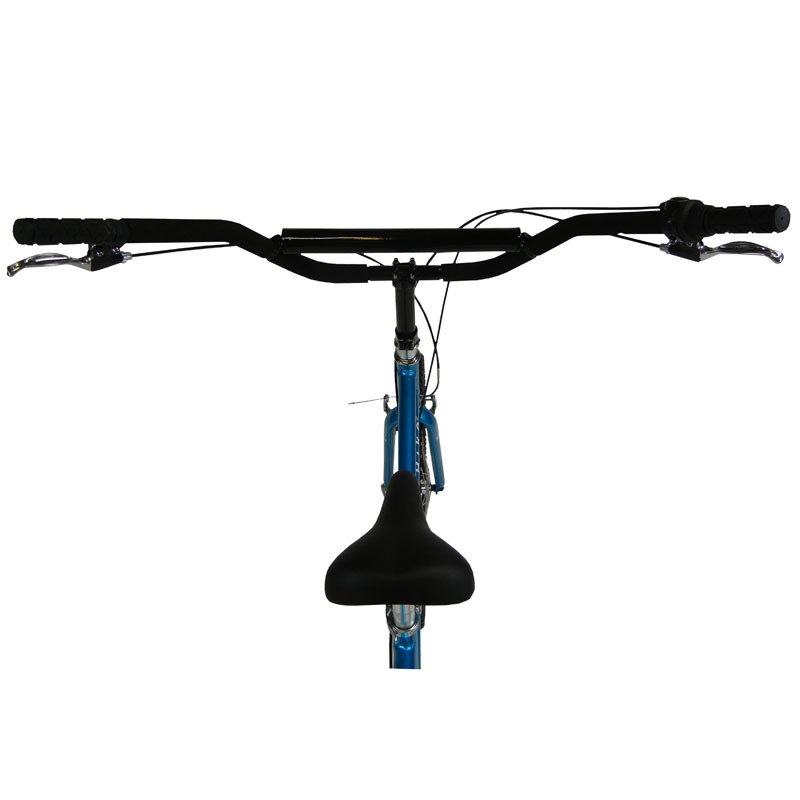 It varies from other Buddy Bike models with a shorter frame, lower top tubes for easier bike mounting, and a lower rear rider seat. 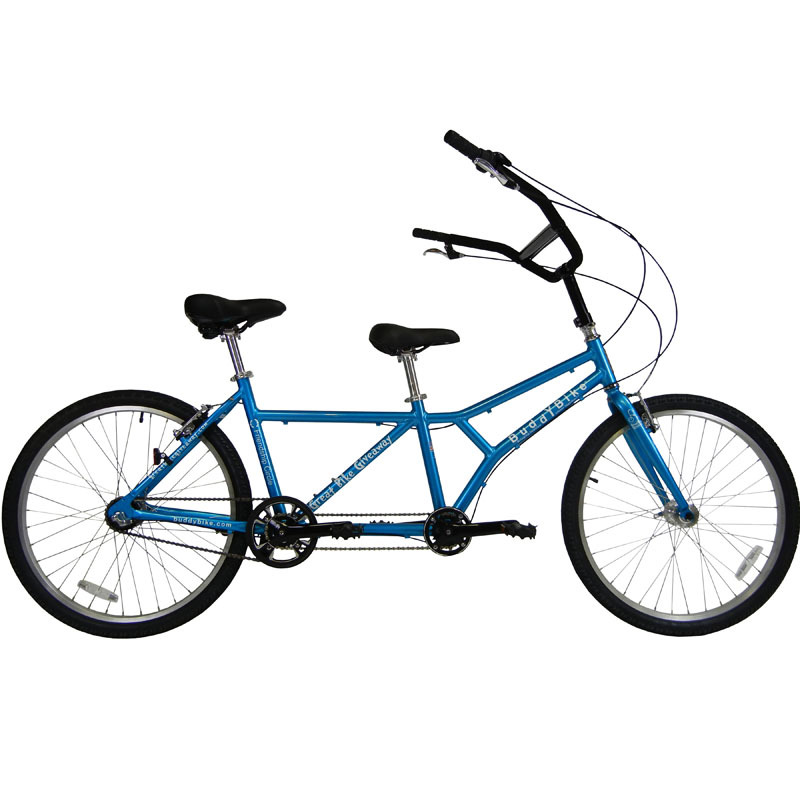 Please Note: The Buddy Bike may not be suitable for adult riders under 5’4”. 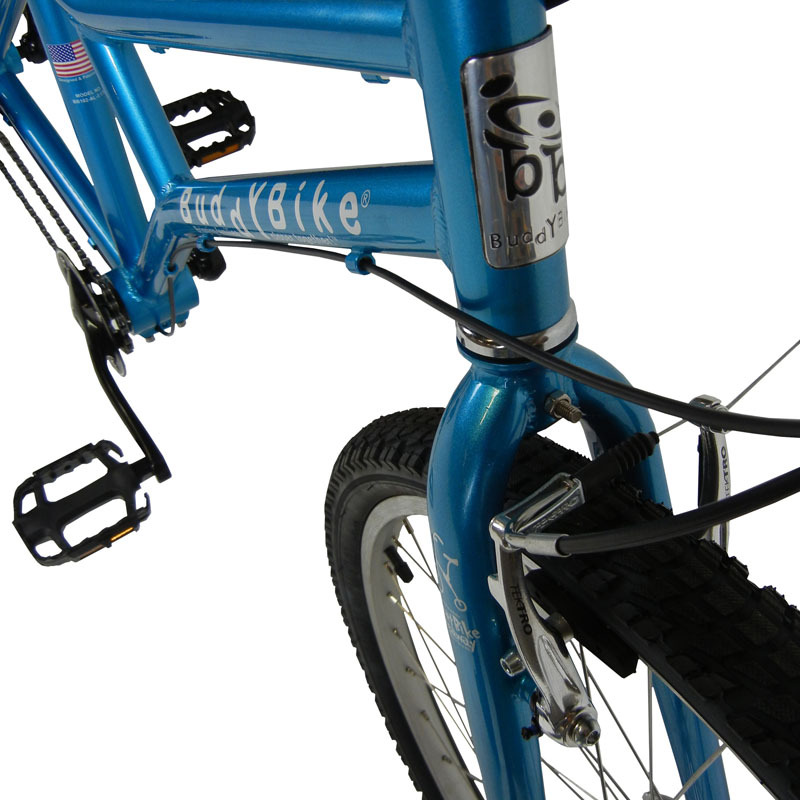 bike assembly at a local bike shop. 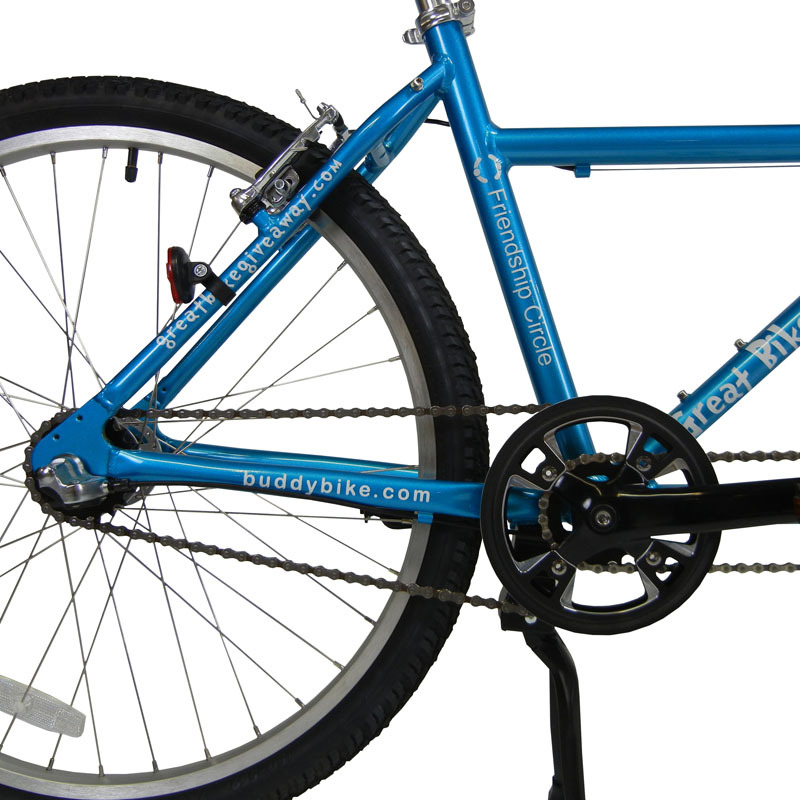 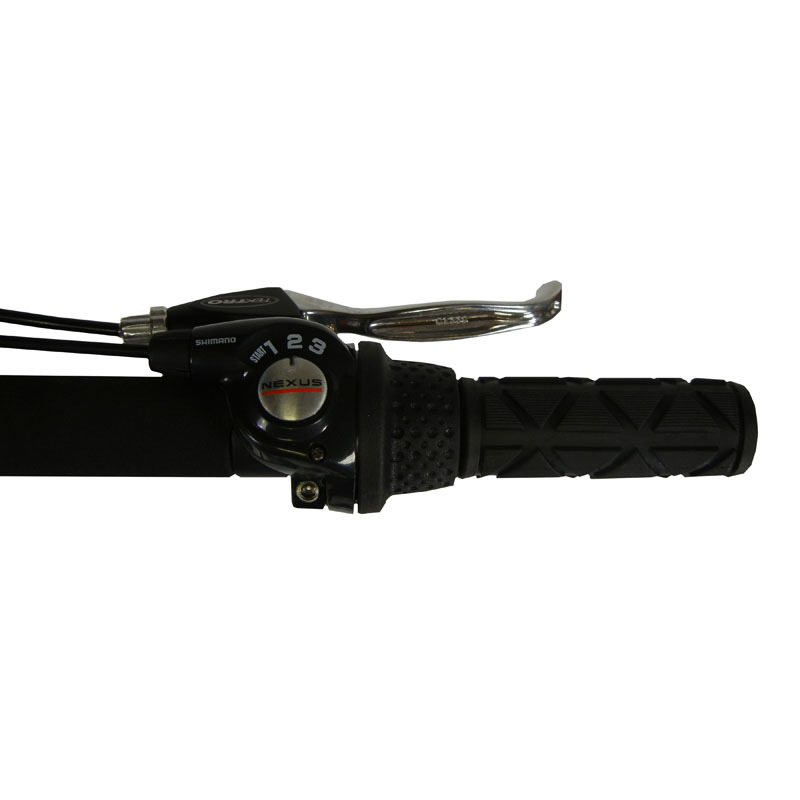 The Buddy Bike® is the alternative inline tandem bicycle (bicycle for two) that places the stoker (smaller rider) in the front seat while the rear rider controls the steering. 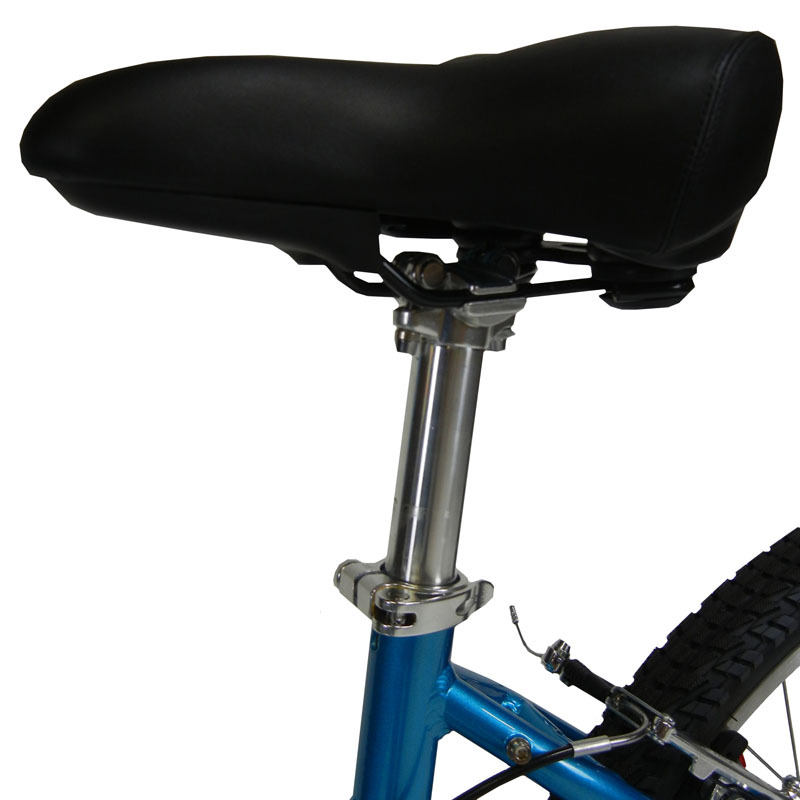 The Buddy Bike has a lower front seat so both riders can safely enjoy the view. 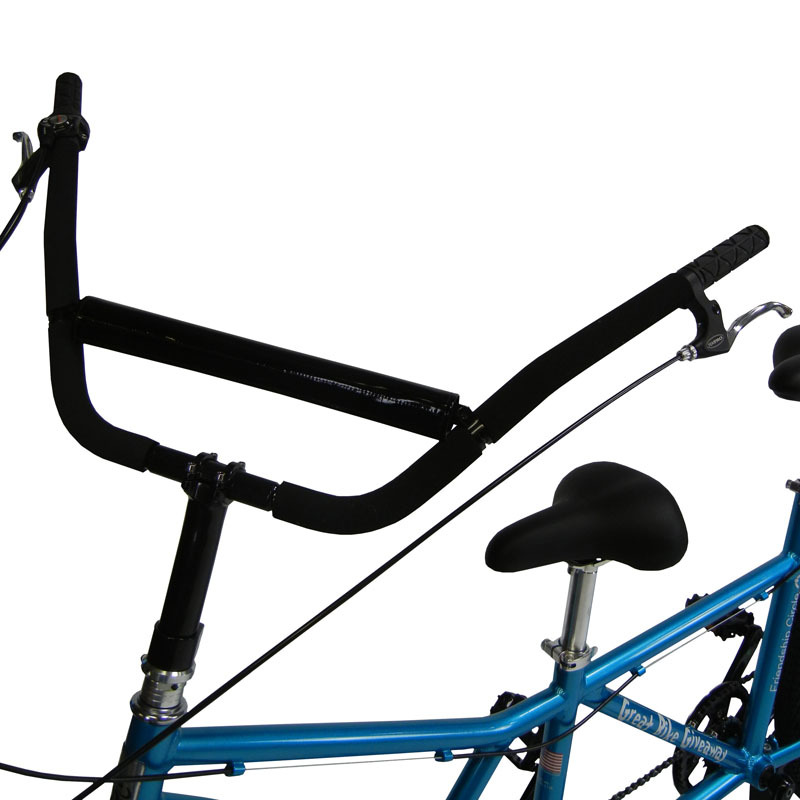 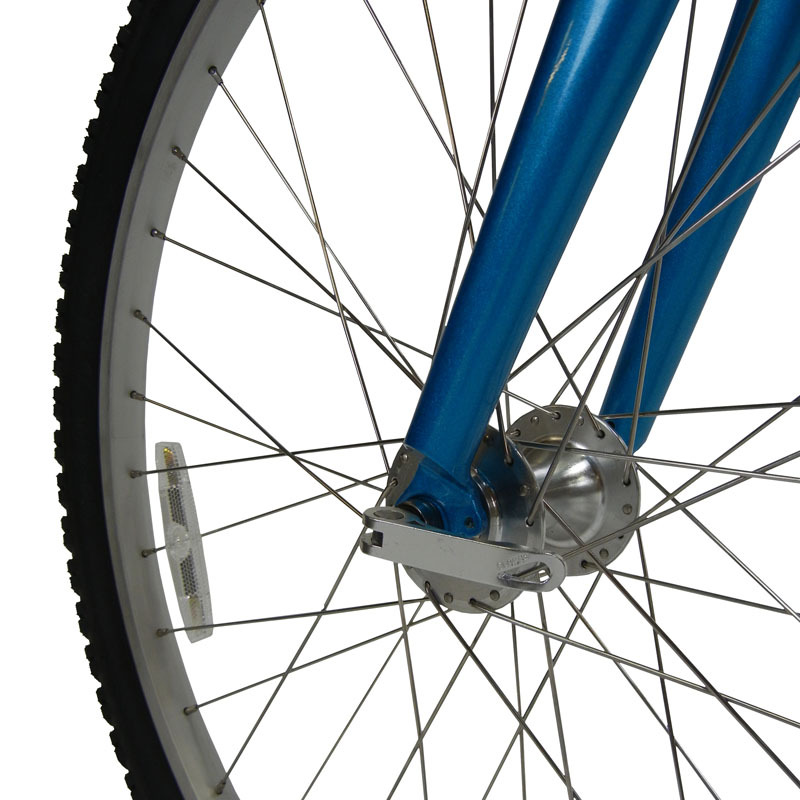 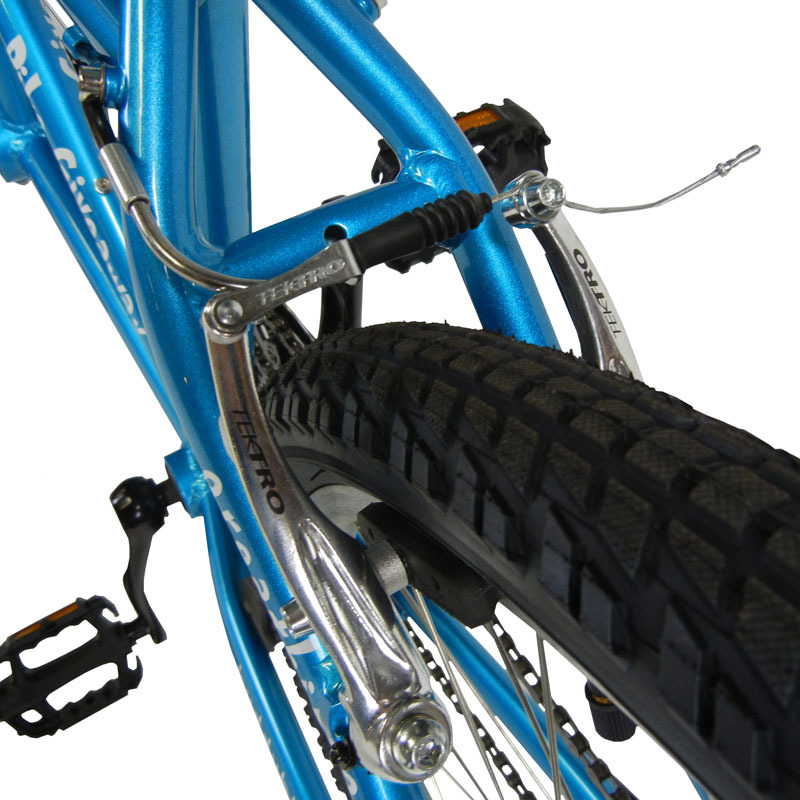 It is shorter in length than a typical tandem, making it easier to store and transport. 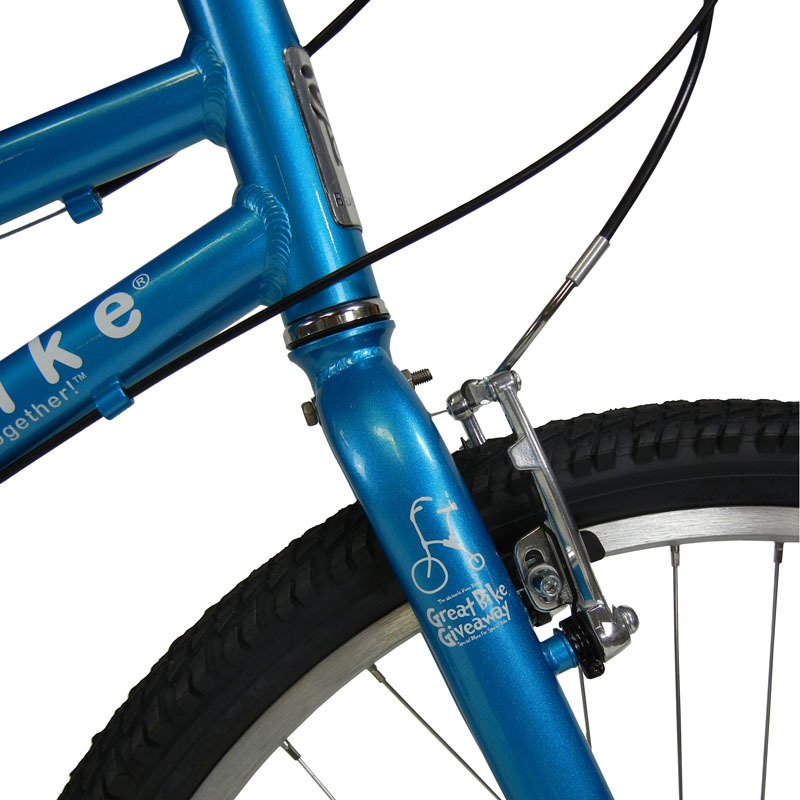 The Buddy Bike is CPSC safety-rated for up to 380 pounds; making it the ultimate family bike that can be enjoyed by riders of most ages and abilities. 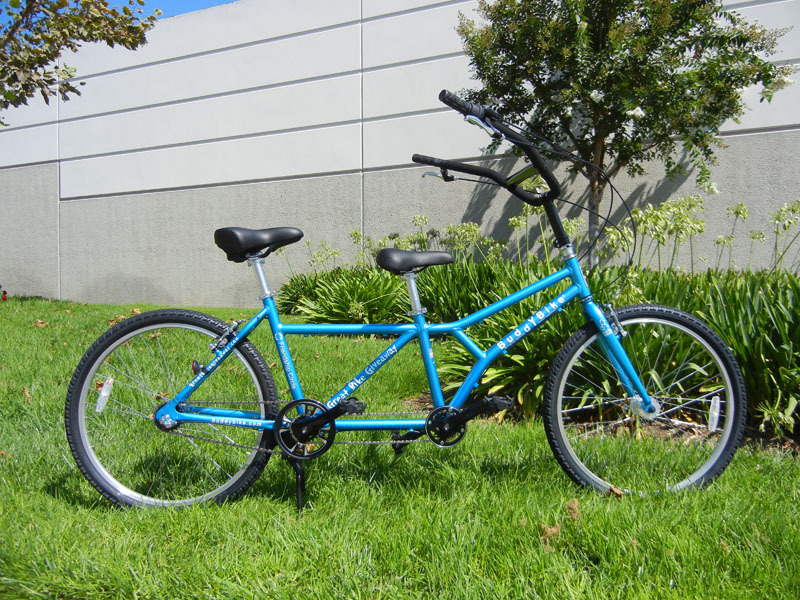 The features of the Buddy Bike offer adaptive outdoor recreation and therapeutic activity to riders with cognitive or physical disabilities who may not be able to ride a bicycle safely on their own or who do not have the strength to pedal a bike alone. 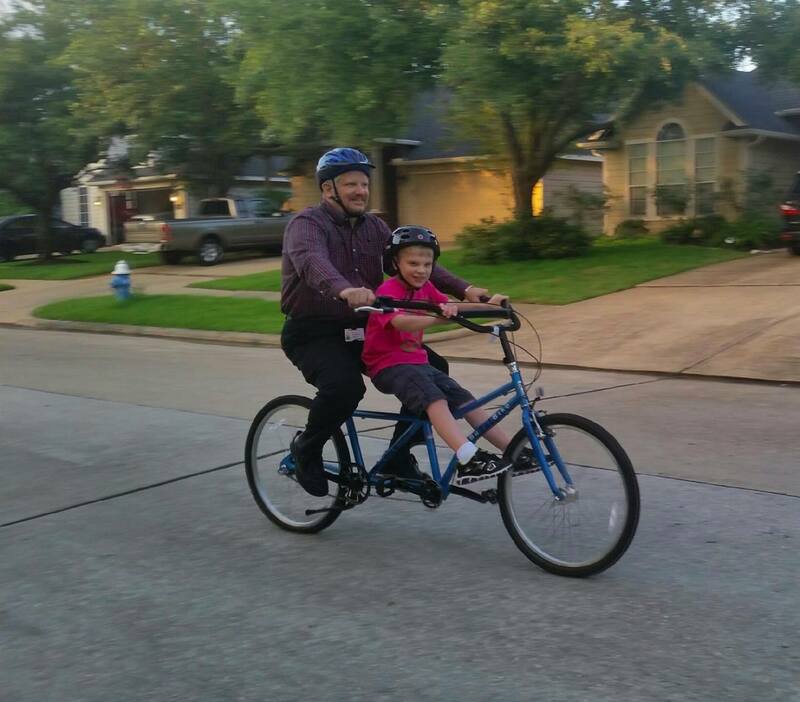 The Buddy Bike allows riders with autism, down syndrome, sight impairment or other disabilities to experience the thrill of riding a bicycle with the whole family. 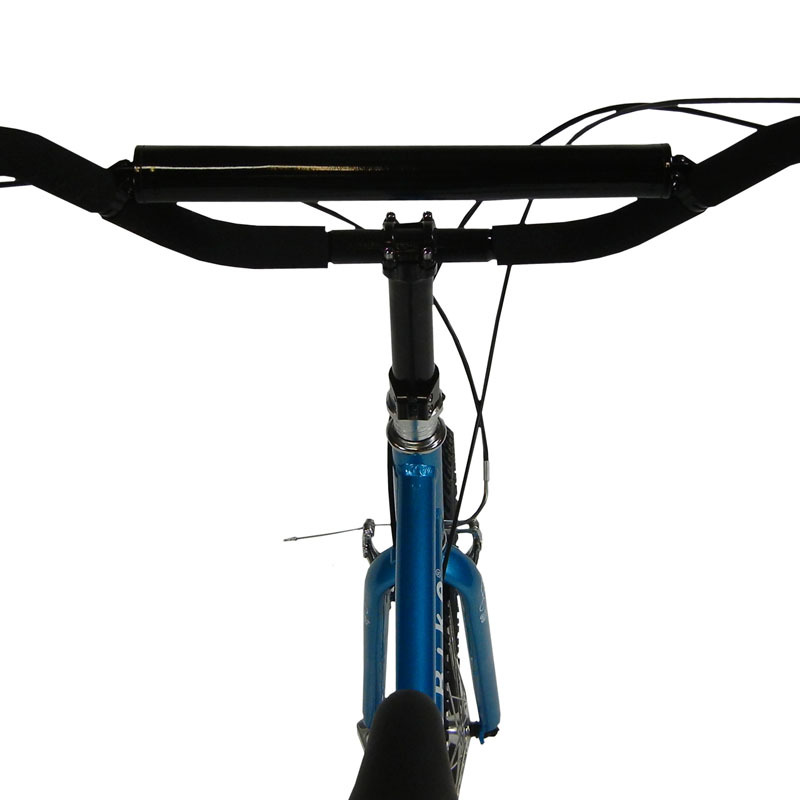 They are no longer left behind!